Yes, I know entries have been absent from the blog as of late, but soon enough we will be heading back home from California with stories to tell. 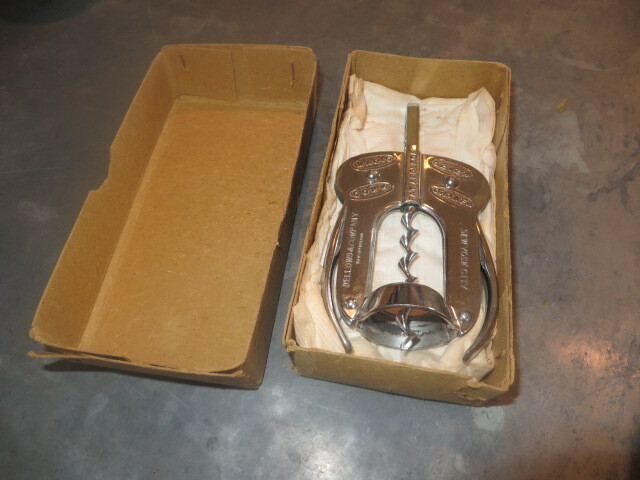 And, yes there were corkscrews acquired! 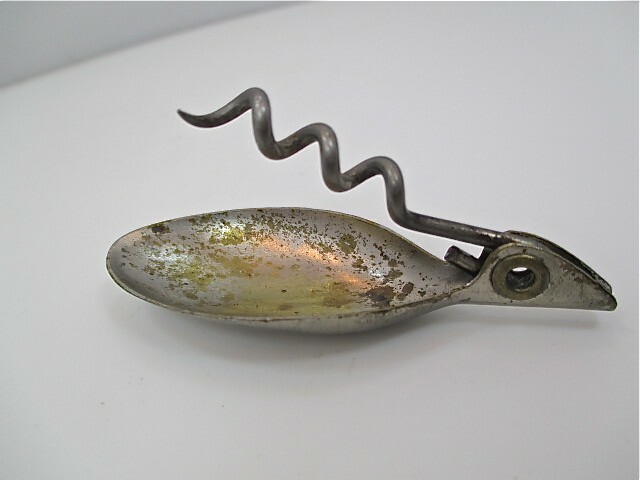 After the acquiring the corkscrew collection recently (and the LeRoy Haff patent) things have been quiet on the corkscrew front. And, the focus has been on the wine shop. The season has been winding down on the island, and the wave of visitors has subsided. 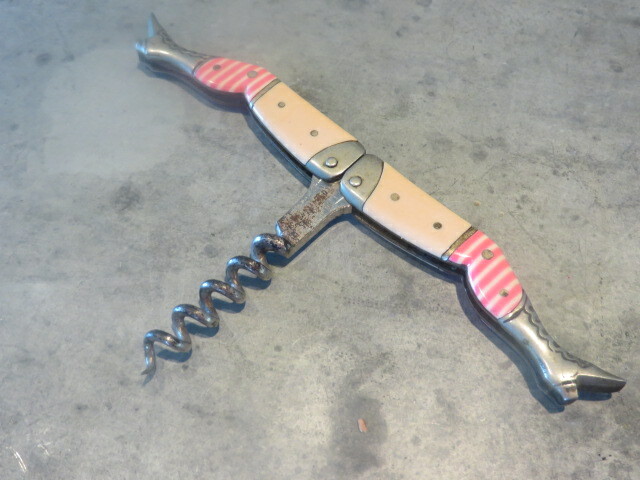 Of course, the corkscrewing will continue, as will the wine shop. That said, the lovely personal personal trainer and I head off to California on Monday. This will be for a variety of reasons, but largely to see family. And, of course, given that we will be in the vicinity, a trip to see Jack and Betty. 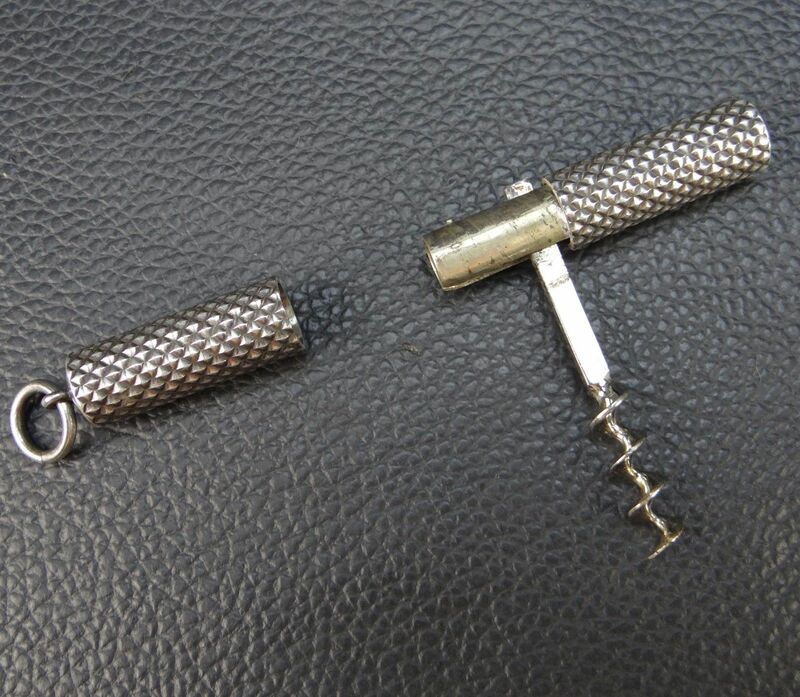 (There may be a corkscrew to be had there as well). For those with whom I have struck deals over the past few days. Gav & TWJ your corkscrew(s) should be arriving any moment. And, TC, the best of the collection (minus the wire frame) will be there by Monday–the large bulk box will take a bit longer. Also, the Haff patent did end up being identical to the other one in the collection, so if anyone would like to make a trade or two, I have a few doubles (of various patents) with which I am willing to part. More as it happens (or doesn’t happen). 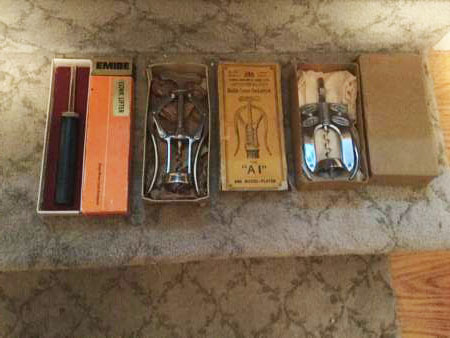 As mentioned the other day, I went to go visit a corkscrew collection on Sunday, and I did come away with a few corkscrews (about 100 actually). Of the hundred however, there were only a few stand outs. 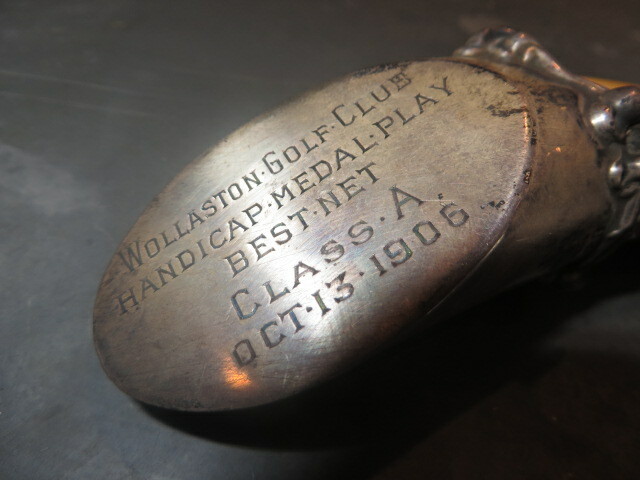 Syroco Indian, Heeley Double Lever in the original box, Magic Owl thingy (also in its original box), a handsome horn handle mechanical with a Sterling endcap, which was engraved for a 1906 golf tournament, and a hard to find wire frame. Knowing that I was going to visit the collector who was selling off, Tommy had mentioned what pieces he wanted. So, he will be taking a fair amount of the collection (almost all of it) as it was the wire frame that was the piece that I really wanted. And, a piece that might make the best 6 of the year. As for the stuff that Tommy is getting, I have no doubt that much of the collection will be destined for eBay–be sure to keep an eye out for Tommy’s listings (aka syrocokid). 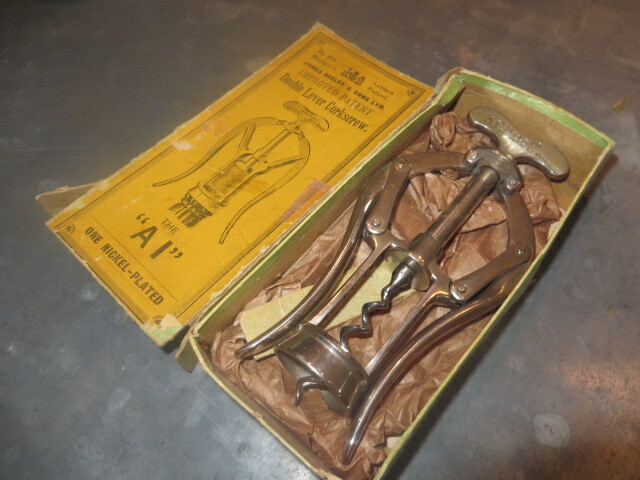 On another corkscrew note, the other day a seller on eBay listed a LeRoy Haff patent roundlet for a steal of a buy it now. I snapped it up, and will look forward to its arrival to compare with the others in the collection. From Hardware, devoted to the American hardware trade… v.11 (published in 1895). The illustrations here shown represent two new designs in corks screws placed on the market by Fredrick Klages & Co., No. 107 Chambers Street, New York. As shown in Fig. 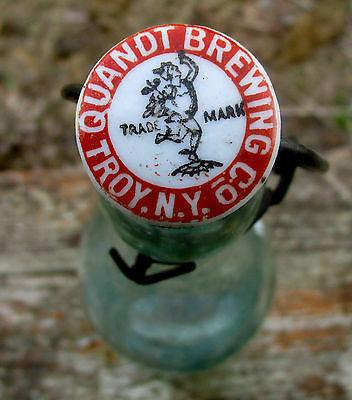 1 the screw is contained in the body of the bottle, the neck unscrewing to allow it to be drawn out. The neck is again screwed on to the body and is ready for pulling corks. 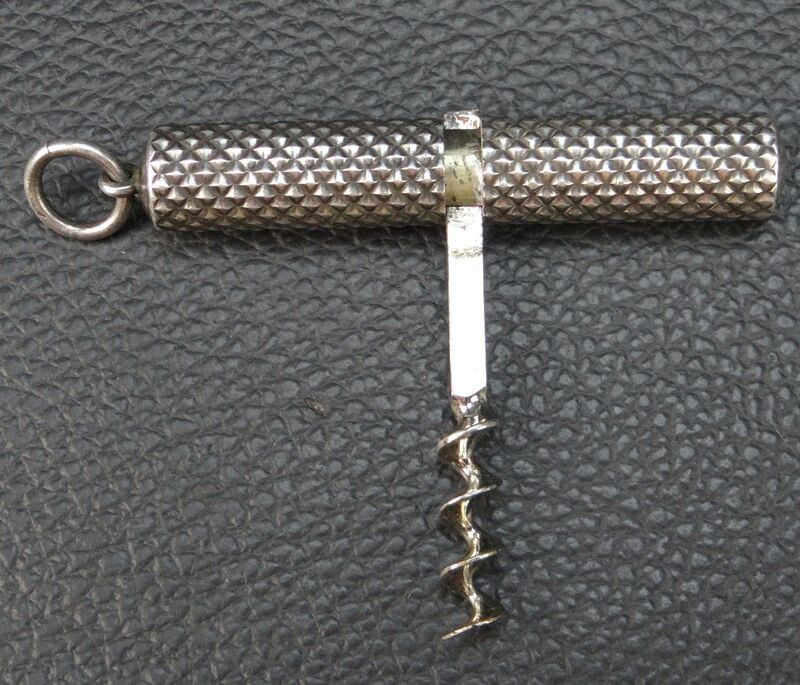 The cigar Cork Screw when closed measures 4 inches in length, taking up no more room in the pocket than a cigar. The attractive features of these good include their utility, the novelty of the designs and the facility with which they may be carried in the vest pocket. 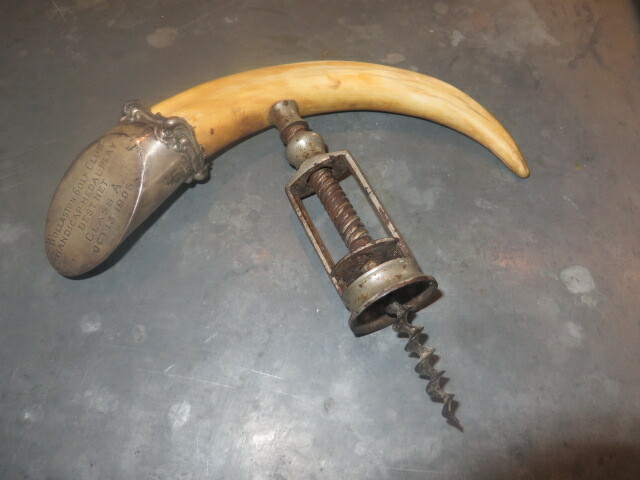 Here is an example of Klages’ cigar Cork Screw – Courtesy of Don Bull. 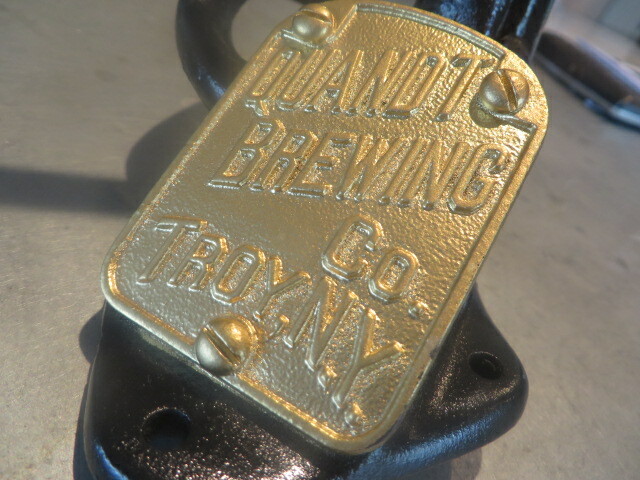 a little less black and gold…. well, fabulous condition albeit painted. It all works pretty well, moves smoothly, and the helix is sharp. And, there seems to be almost no pitting to the metal. What is under the paint? 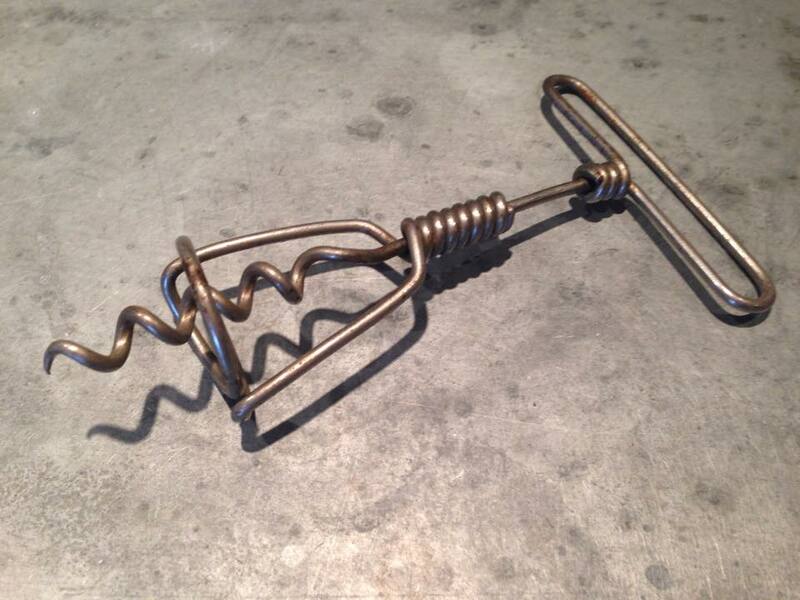 Hopefully a fantastic corkscrew! 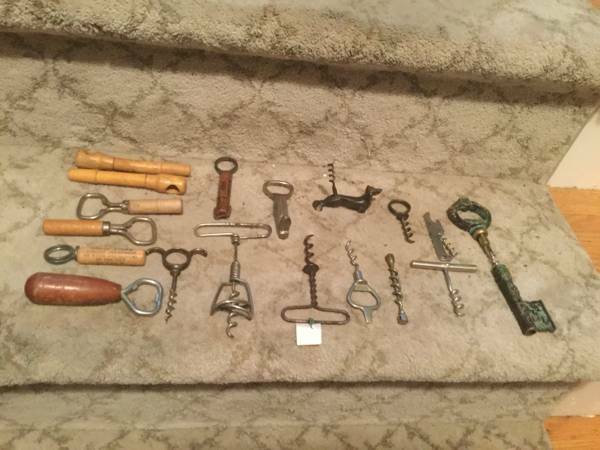 This morning over coffee, after a bit of searching, I ran into an advertisement for a collection of corkscrews for sale. And, after waiting for a decent hour, I made a phone call and connected with the seller. 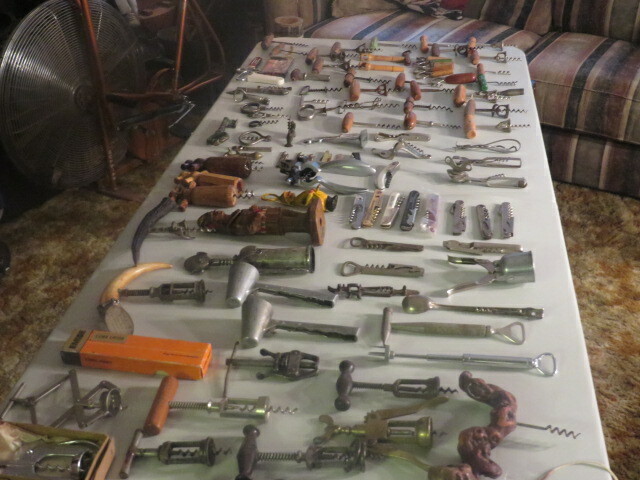 He explained that he collector culinary gadgets and the corkscrews are merely a part of his massive collection, and he further explained that he wanted to sell the corkscrews as one lot. I have only seen a few pictures, but based on what I have seen and what he was asking for the purchase, we have struck a deal. Consider them sold, I explained, and we have arranged for a time for me to pick them up. So, a week from today, I will head down to his place (several hours driving) and money and corkscrews will exchange hands. Of course, knowing that he collects culinary gadgets, I am hoping there might be more than the 100 that were advertised. Here are a few pictures that were made available. I wonder what the other 50-60 might be!!!! 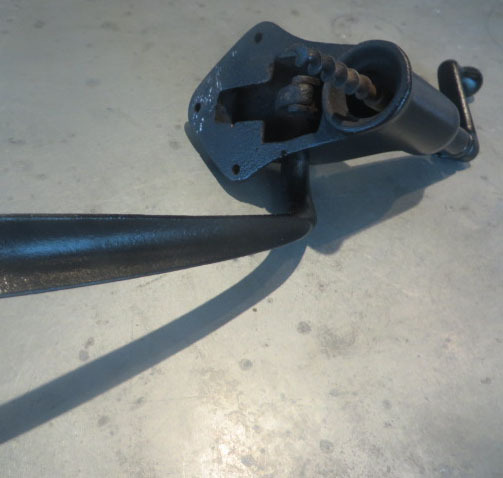 After putting up yesterday’s post regarding advertising spoons, Leon sent an email with a photo showing another version of the Hazeline spoon. 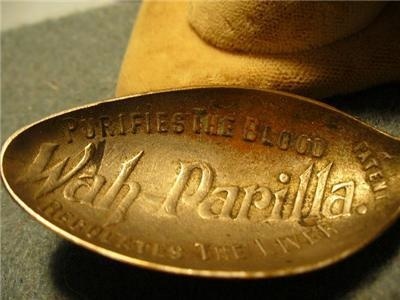 Interesting to note, that on this spoon it does have the word PATENT amongst all of the advertising like the Wah-Parilla example. 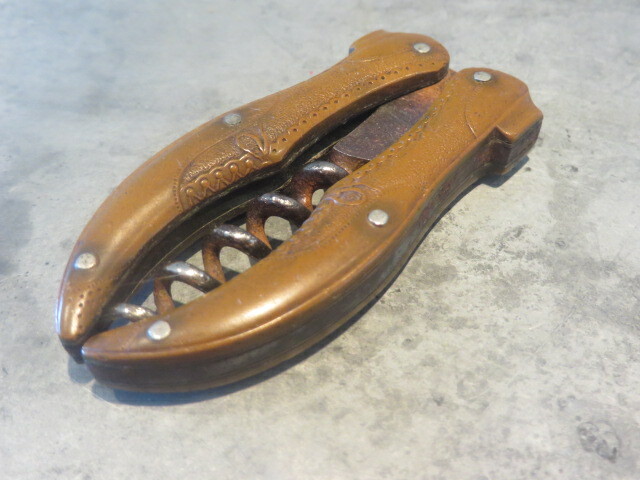 The other Hazeline has the word PATENTED just under the hinge of the corkscrew. 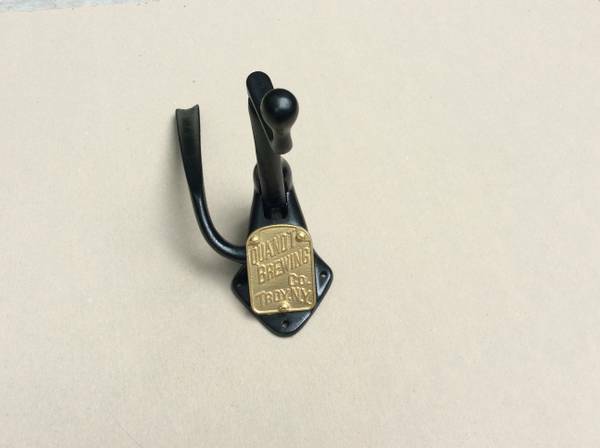 On another exciting corkscrew note, a deal was struck the other day for a 1891 Walker patent bar screw, with a very cool advertising plate. 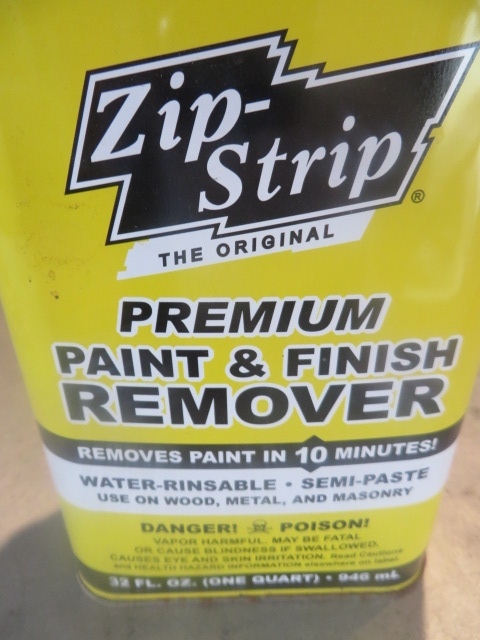 Now it is pretty clear that the bar screw has been repainted, and in conversations with the seller, I came to find out that it was recently painted. 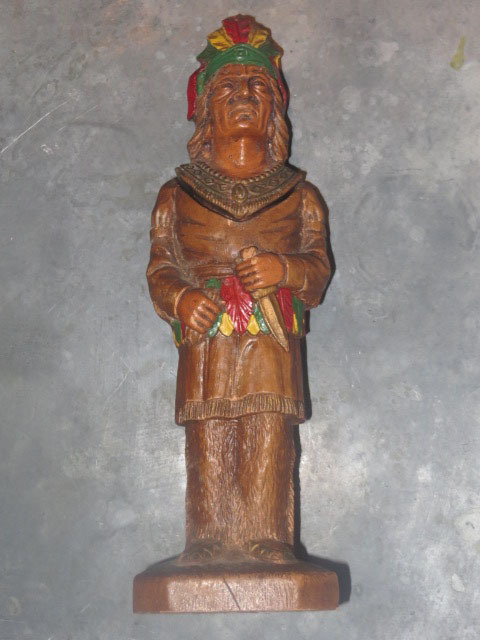 And, soon enough, after it arrives on the island, with a little paint remover and elbow grease, it will become unpainted. 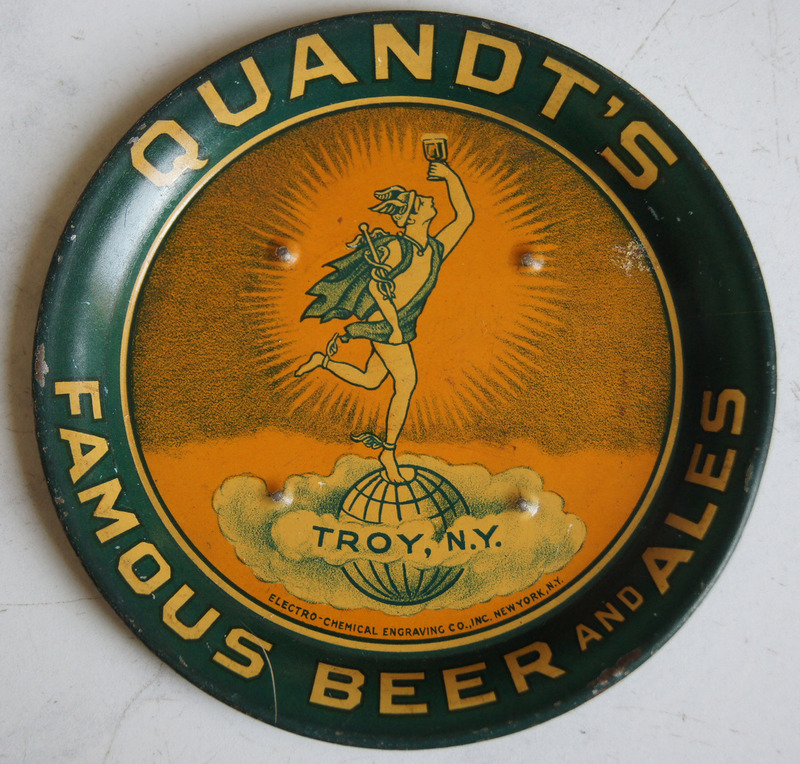 Still, it is a really nice example of the Walker patent with an advertising plate for Quandt Brewing Co. 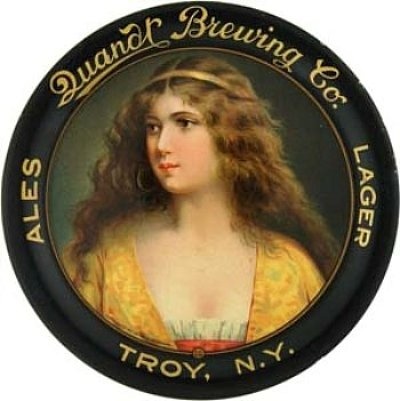 Troy, N.Y. 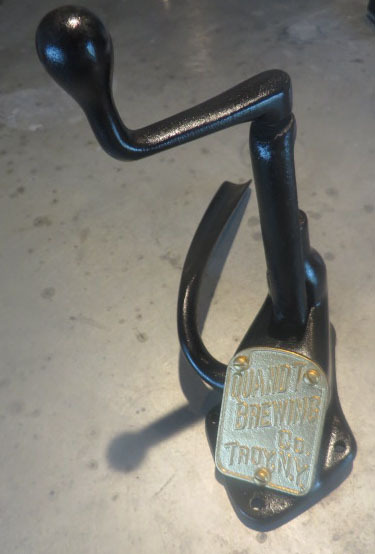 Since it is a brewery piece, surely Tipped Worm Johnny is frothing at the mouth over this one. And, I am sure either a dollar figure or an offering of corkscrews in trade will be emailed in short order. 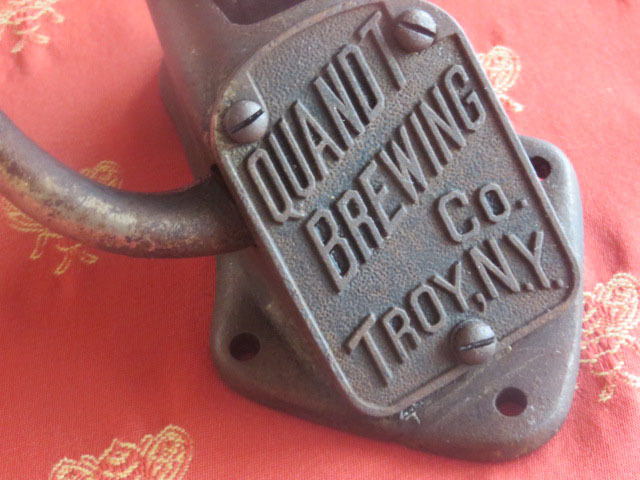 Of course, since there is a Troy connection, maybe it should be placed in the collection next to the Curleys, Hicks & Reynolds, Straits, etc…. 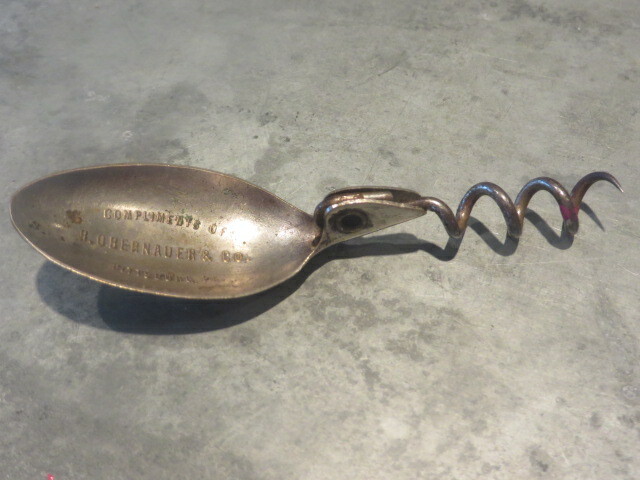 As mentioned yesterday, while at the corkscrew meetings, I picked up an interesting Williamson patent spoon with advertising for H. Obernauer & Co.
After a little digging, I did unearth a little information about the Obernauer company. The H, in H. Obernauer is Herman. 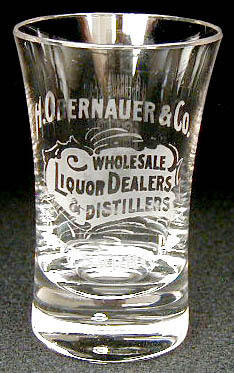 And, Heman Obernauer was a wholesale distributor of liquor and distiller in Pittsburgh with two name brands Belle of Pittsburgh and H. O. Brown Gin. As the title of the blog suggests, perhaps we should check our spoons to see what other advertising appears on them. 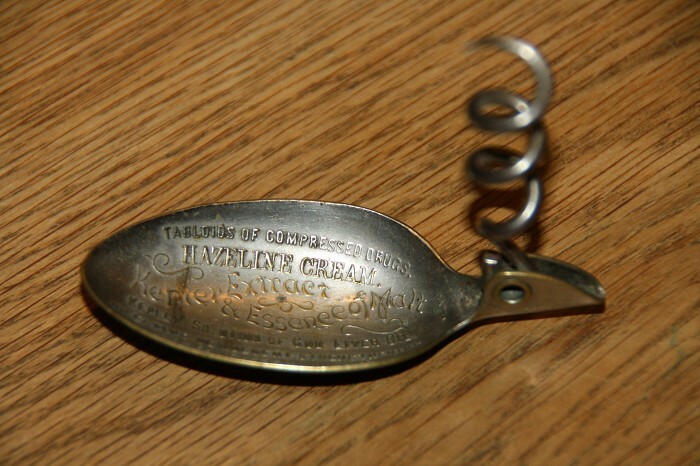 And, on occasion the Williamson patent spoon shows up with no advertisement at all–of course there are no patent numbers or patent date marks on the plain example–although some of the advertising versions have PATENT or PATENTED near the hinge of the worm. So… While this list is clearly not exhaustive, it would be interesting to see what other advertisements are out there. 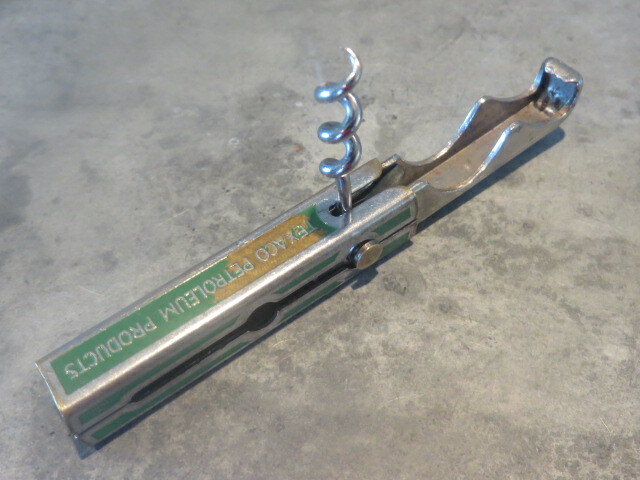 So, if you have a different advertisement on your folding spoon corkscrew, drop me a line and I will update the list. 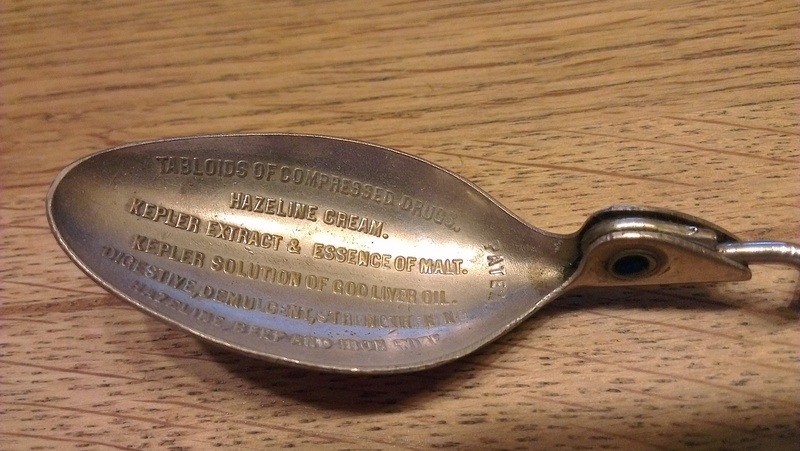 COMPLIMENTS OF H. OBERNAUER & CO. PITTSBURGH, PA.
Do you have any different ads on your spoons? Do you have one with the patent information? The last few weeks have been pretty fabulous, but arriving back on the island yesterday afternoon, and in short order having martinis on the back deck over looking the harbor, was a nice reminder of what a fantastic place we call home. Whilst at the meetings, there were a few corkscrew folk who mentioned the blog, and I assured them that once we got back to the states, I would provide a few more updates. And, perhaps a few more pictures. For those that are members of the CCCC or ICCA, both meetings will be written up in the upcoming newsletters (Quarterly Worme and The Bottle Scrue Times). 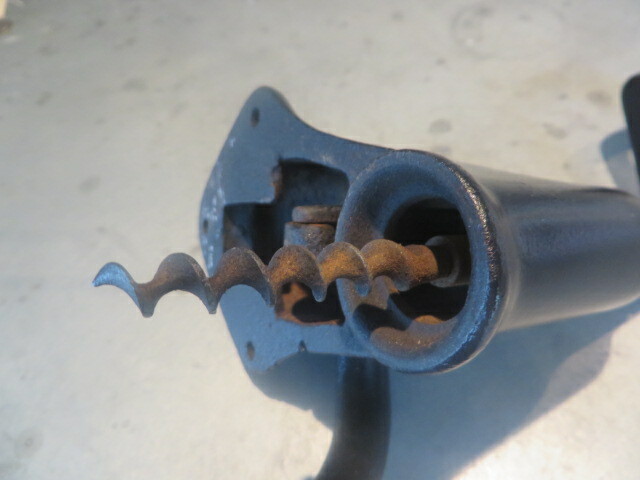 For those that are not members of either club, or a member of only one, it suffices to say that the were corkscrews aplenty! At the ICCA AGM in Logrono, we enjoyed copious amounts of wine (mostly from Dianista Vivanco) and the museum that Rafael and his brother have put together is phenomenal. Not just the corkscrews, but the interactive displays, the mammoth wine presses, the tools for barrel making, harvesting, etc. It is all pretty breathtaking. Beyond the corkscrews and fabulous wines that you find at Rafael’s winery however, is the tremendous sense of pride in what the family has built, the heritage of La Rioja, and how happy they are to share this with the many visitors to the museum. 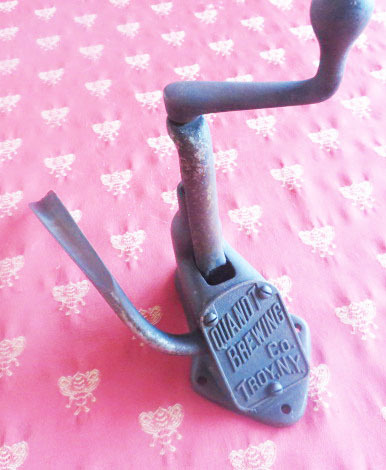 As far as corkscrews, many changed hands at the buy and sell, and many more at the auction. 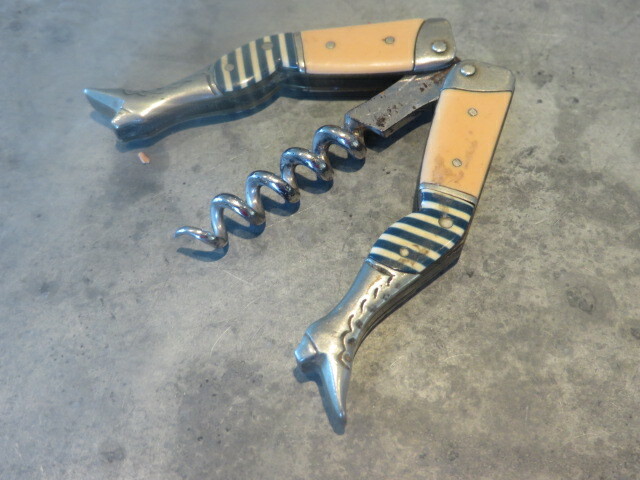 And, at the Annual Meeting, awards were given out, a few corkscrews were shared and talked about, and a glass was raised to Dr. Joe Young, whom we lost this year; one of the great corkscrew collectors, researchers, and storytellers. After the close of the meeting, we headed back to Madrid for the evening, while others headed off to other airports. Some would continue their vacations elsewhere. Some would be heading home, and many would be heading to Bucharest for the Canadian Corkscrew Collectors Club AGM. 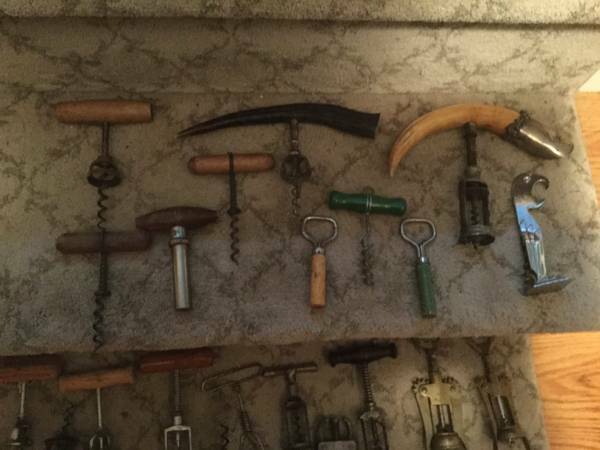 While I have included photos in earlier postings, if ever you were to see a nice collection of corkscrews, visiting the Chirescu collection was pretty unbelievable. Over 23,000 corkscrews! Okay, perhaps it is more than a “nice” collection. The collection is actually pretty staggering and awe inspiring, and there was much drool that surely would need to be cleaned off of the glass cases after the CCCC attendees managed to pry themselves away for a bit of lunch (and wine). As is the usual program, we had a nice buy and sell and auction. 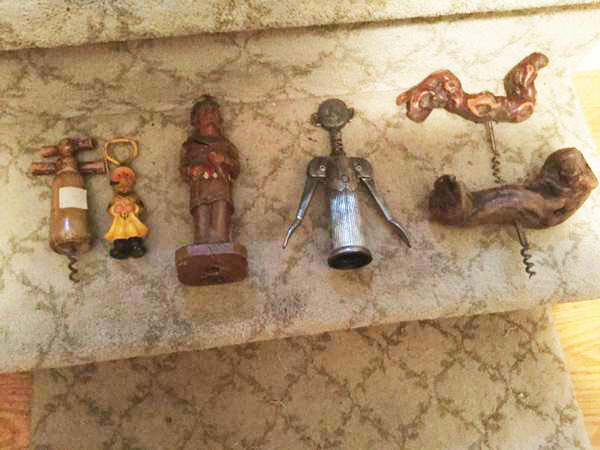 Less pieces received multiple bids, but a few corkscrews did change hands. Of course, at the AGM we do actually have an actual meeting. This year, while there were presentations for the Vancouver meeting (next year) and we will need to decide on 2017 moving forward, much of the meeting focused on the Quarterly Worme going digital and looking into having a new leadership group for the club… This is quite a departure from a club whose only rule is that there are no rules. And, being one of the more vocal ones in the meeting, I am pleased that a group was formed to look into some of the ways we can improve the CCCC and perhaps look into adding a web presence for the club. 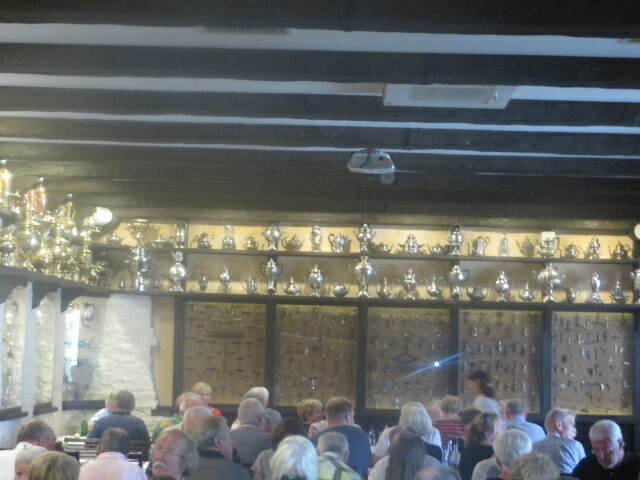 Following the AGM, we had a lovely gala at a local restaurant, and Ion and his staff put on a great meeting–a difficult task given the sheer amount of attendees (160+ people). The next morning, we were up early and all packed up for our next adventure. 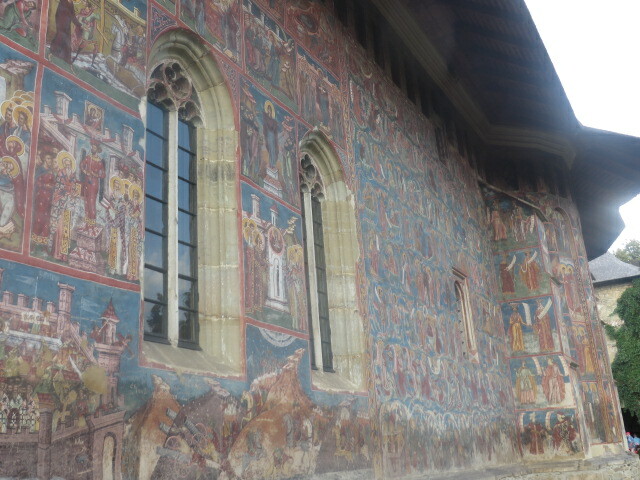 Many members of the CCCC would be heading home, and a smaller group of us (about 100) would soon be boarding buses and beginning a 7 day tour of Romania. 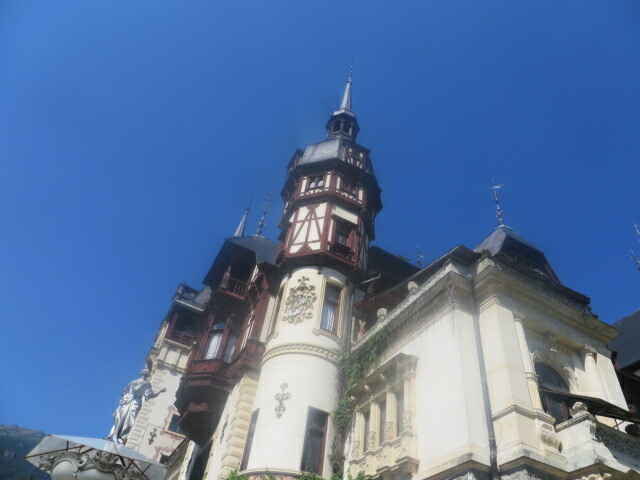 The tour was fantastic, and while there was much bus time, there were fantastic stops along the way, and with each day there were new surprises; castles and monasteries, a pig roast with dancing (the pig wasn’t dancing), a cake shaped like a Read’s Coaxer, music and magicians, and a second corkscrew collection–those of Ion’s doubles at a mountain hotel/restaurant that he also owns. But, we again shared dinner together. And, it was here that we all said our goodbyes as we would be on a plane back to the states early in the morning. A wonderful trip, it allowed for much conversation, renewing of old friendships, some great memories, and meeting some collectors whom we had not met before. Now it is back to the wine shop, and the ongoing hunt for corkscrews.